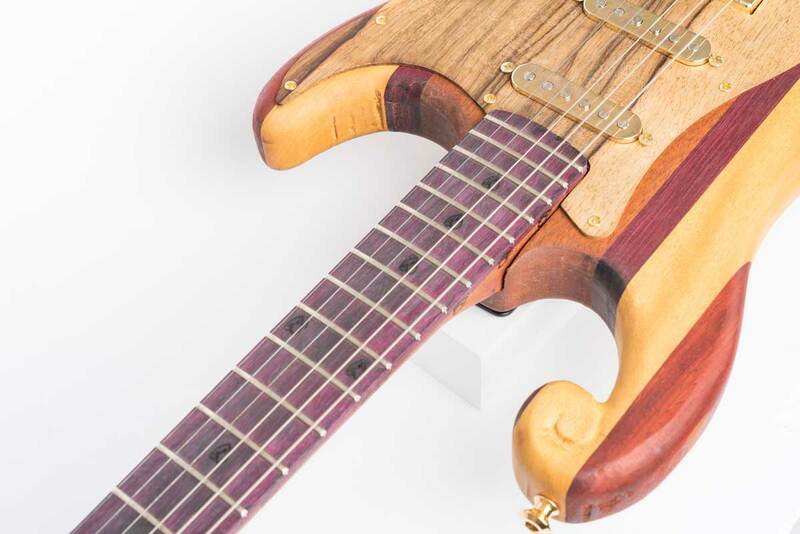 As the name suggests, this guitar was created with the counterculture of the 60s and 70s in mind, but with a modern twist. 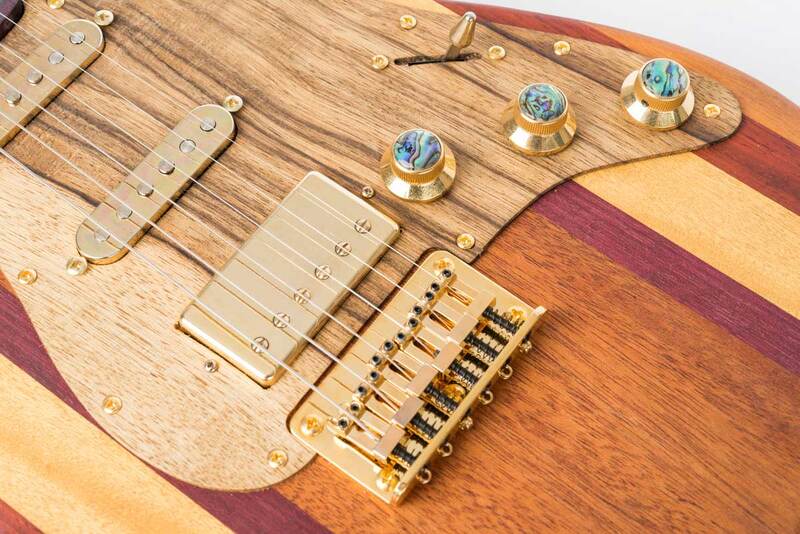 This guitar is one of the best examples of why we do not use any paints, stains, or dies on any of our instruments. 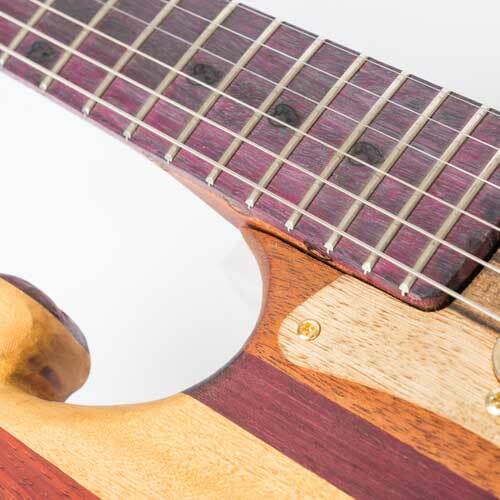 To answer one of our most asked questions: YES, those purples, reds, yellows, and oranges are REALLY the natural color of the woods. 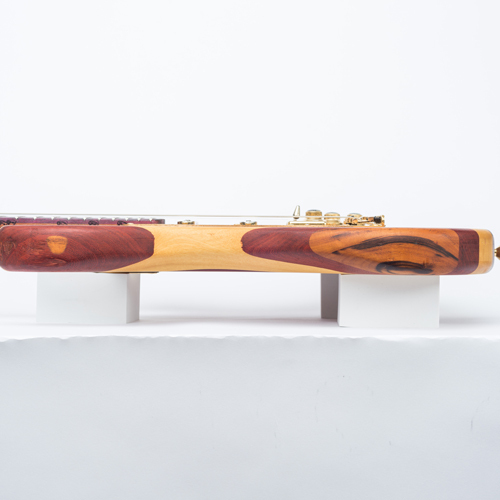 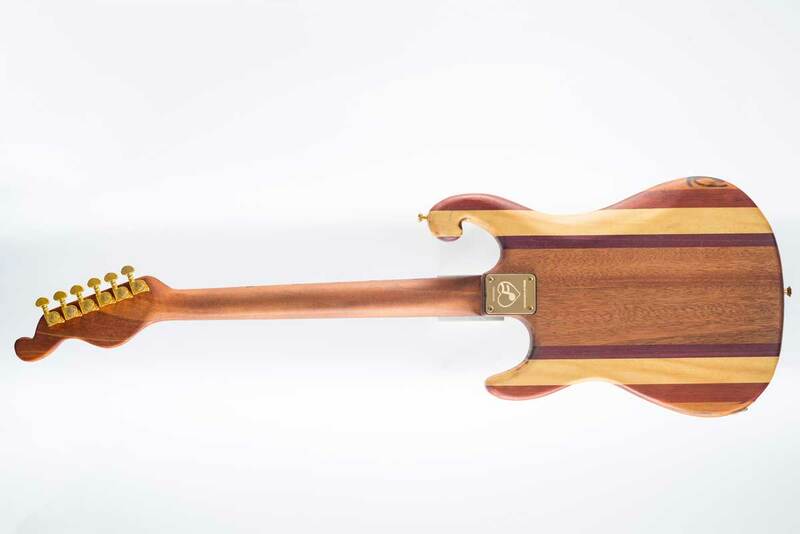 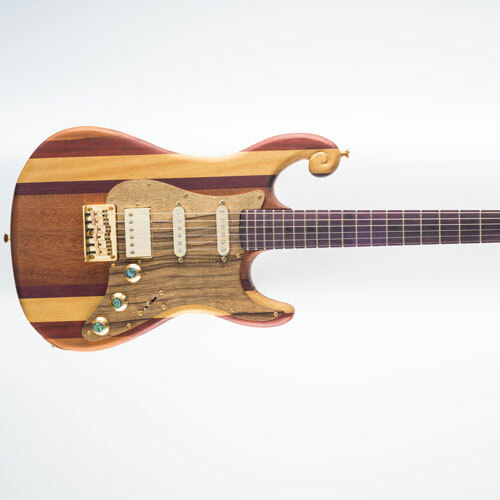 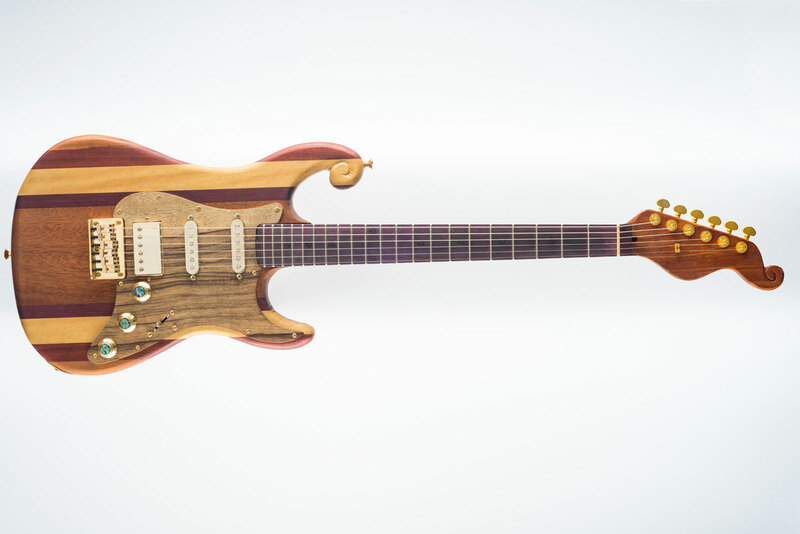 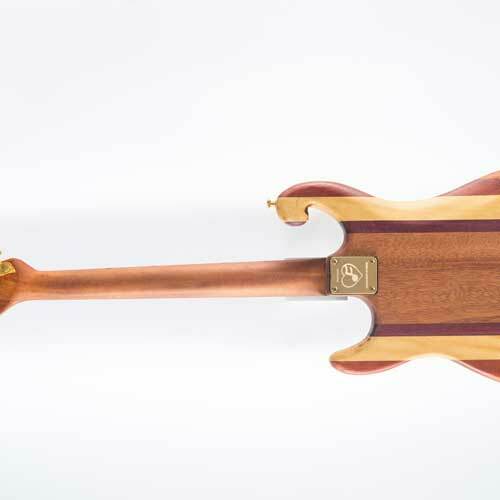 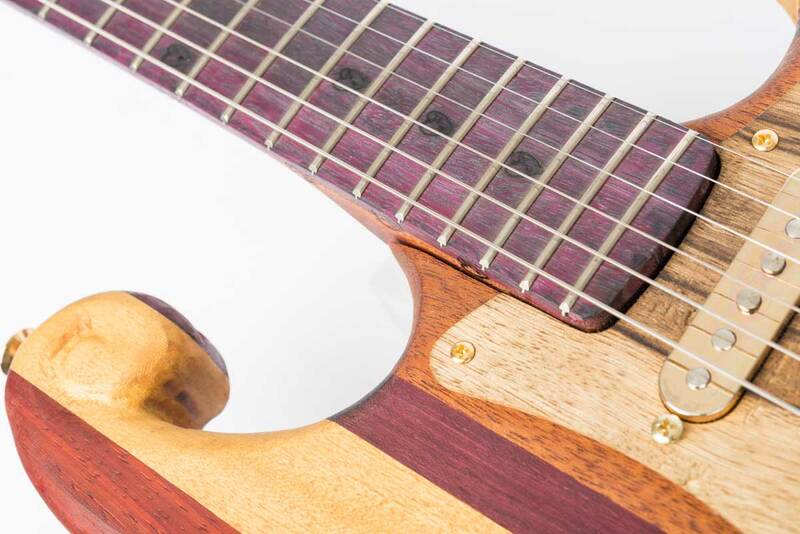 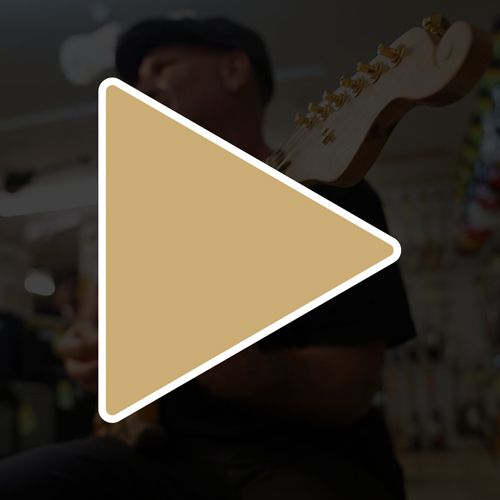 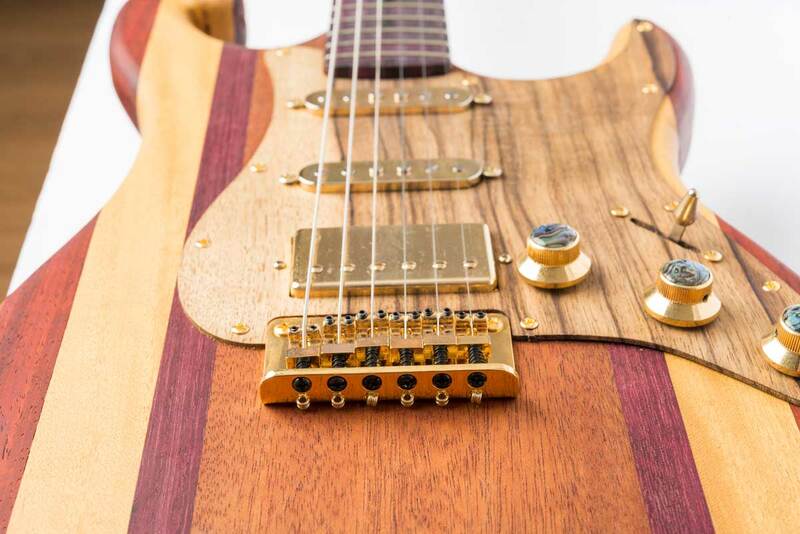 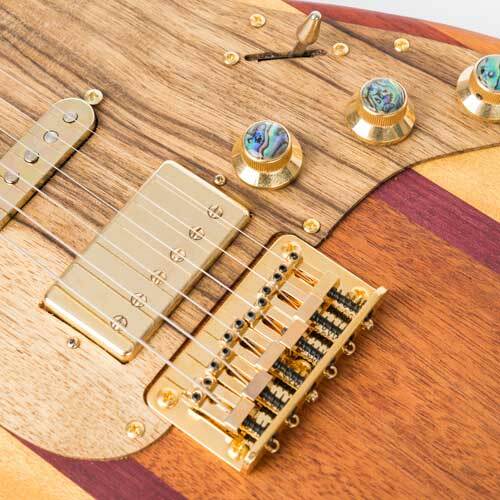 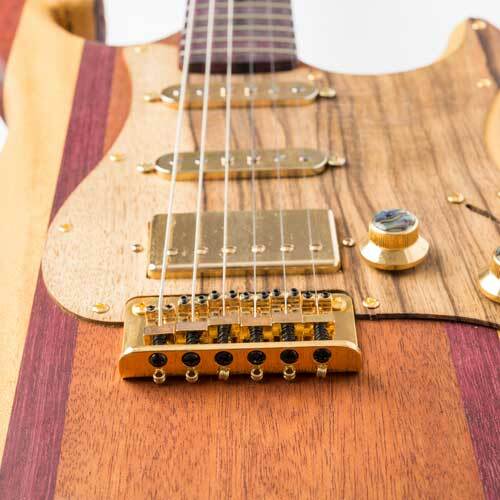 This instrument features the appropriately named tigerwood sides, deep purpleheart fretboard and body stripes, rare black limba handmade pick guard, and abalone toped volume/tone knobs. 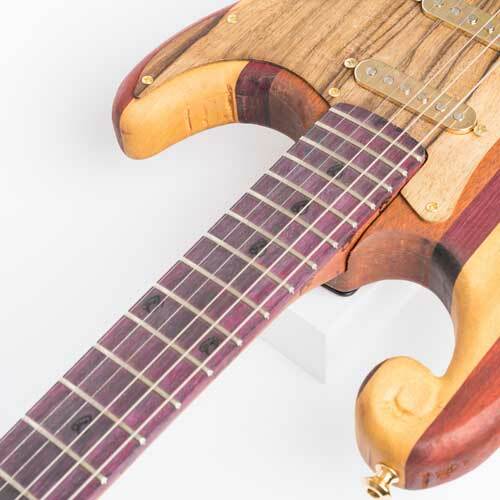 We are bringing back into style peace, love, and free self-expression with this throwback-modern color feast, Instrument of Peace. 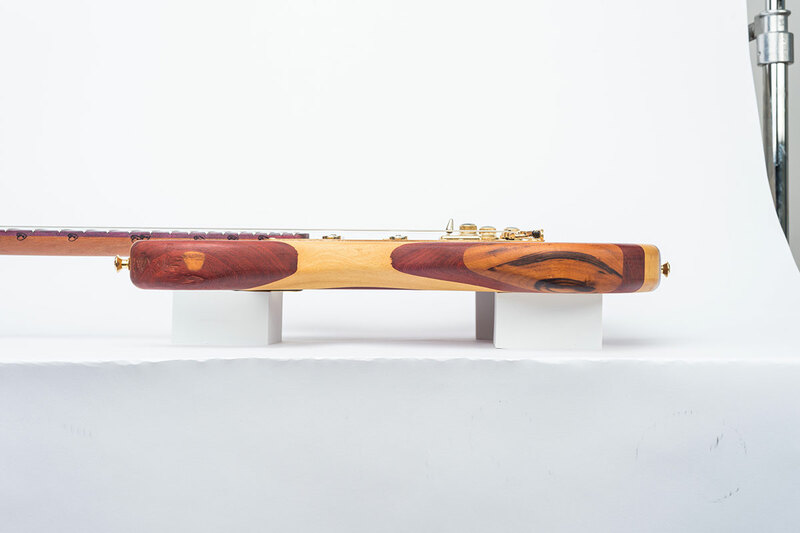 Heartsong Instruments of Peace signature spiral carved top horn of the body.